The 21 Year-Old won't be missing Daniel Ricciardo after his move to Renault for a 2 year contract starting next year. However, it won't be as easy as it seems for the Australian, who was at Red Bull Racing for almost 5 years, taking over Mark Webber's Seat after he retired. The 29 Year-Old from Perth, Australia had a great start to his season, though reliability issues after the Monaco Grand Prix, had led him to struggle to finish most races. Which then also led to Daniel falling behind his team mate in the Drivers Standings in 6th. However, Max hinted that Daniel's move to the French Manufacture, Renault next year, would leave him missing Red Bull even more. Max said to a Dutch Newspaper “Personally I won’t miss him but he was fun and pleasant to have as a team mate." “But will I miss him? 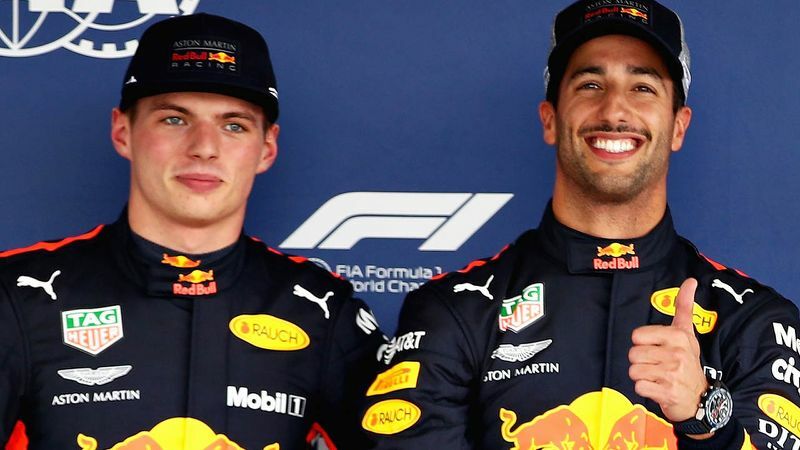 I believe Daniel will miss what he had here.” Max had believed that Red Bull moving to Honda Engines, instead of Renault Engines, will give him a massive advantage. After some issues with the team and Renault. Max had also mentioned “Honda’s whole attitude and the plans they have, it’s totally different compared to what we were used to with Renault,” “With Renault we always had to push. It always had to come from us and it was usually ignored. Now it is the other way around and we are pushed to supply parts. do you believe that Daniel will miss red bull? comment your opinions below!